My guess is that everyone has thought about this at least once in his/her lifetime. So, I'm gonna ask you guys; "Which Tekken characters do you resemble by..."
1) Hmm... though one. Either Kunimitsu (no, I don't have a fox-face) or extremely gothic Xiaoyu. 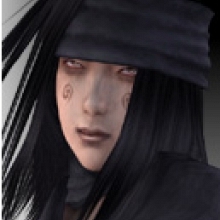 2)I guess yoshimitsu, I'm nice and helpful, but if you didn't know me personally you'd think I was weird. Weird, scary, and not very sociable. 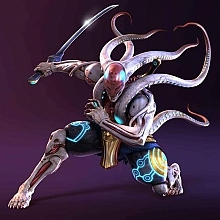 Yoshimitsu because I am nice, likes to help, does not degrade people, is not easily angered. Yoshimitsu's. I like to play games and surf the net. in character, I resemble much Yoshimitsu. Honourable, easygoing and sometimes happy-hurting-myself if I want to do something way too right I have the talent to do it, but eventually the injuries aren't that bad. Hah, feeling like I'm being surrounded by saints in here. Kogamitsu : Hah, feeling like I'm being surrounded by saints in here. Do not feel that bad. I am also pale with dark eyes. I'm not sure about this one... maybe Baek and Hwoarang because i do taekwondo? ... but I wear glasses :(. ... otherwise it just won't work in appearance ;). I do many careless mistakes :). ... I heard I have a laughter of a psychopath. ... I bought camouflage pants! I love 'em!